It’s a really cool bit of technology. On many occasions, I would pull up the app, and literally go around the house, turning things on or off, or plugging or unplugging devices to see how much energy it used. And, because I signed up when it first came out, it was free! After a couple of years, they announced that they would be making this available to everybody. Apparently once they ran out of the initial devices, that was it. Existing customers received notice that a brand new device would be coming our way, replacing the first device. The new devices were wi-fi capable, which was a definite plus. So far as I can tell, that was about the only improvement. Still, the device came, and after getting it configured, it was back to business as usual. One of the things their rollout e-mail promised was that we would soon have an updated app to use. I was curious so I went on the Google Play Store to see what I could find. The reviews of the updated app were lukewarm at best. One common complaint was that the newer version of the app took away a lot of features. I guess I was skeptical of this, because why would any developer take away features? Well, turns out that they were right. The old version of the app (v2.3.7) will no longer be supported. Customers who want to use their Energy Bridge have to upgrade or it won’t work. I have automatic updates turned on for my apps, so one recent morning I saw that I’d received the newer version of the app. How did I know? Well, the icon was missing from my front page but I found it in my Apps folder, and the icon was different than before. I had a feeling that the fact that it didn’t put the icon back wasn’t a good sign. First, the new app made me log in again. I can’t stand when apps do this. Unless it’s a financial app or app that can be used to compromise my identity, I want to set it and forget it. But, no big deal, I soon supplied my username and password and I was in. It kept the connection to my Energy Bridge device, which I guess was good. But, then I started noticing how awful this app is. I realized after about two minutes that none of the reviews were exaggerating. Pretty much every feature I’d found helpful in the old app was gone. Current Day Access to Real Time Data – In the old app, you could press and hold a circle and move it around and it would show you your usage for any point in the day. Now, that was gone. I could see my real time data, but trying to go back a few hours was a no-go. Historical Data – The old app showed pretty much every bit of historical data you could think of. I could compare any month to the last twelve months, or even go back over a year. The new app has no historical data whatsoever. Budget and Usage Goals – In the old app, you could set your goals based on historical data. I always set that I wanted to keep my usage at the same level as the same month a year ago. But, since they got rid of the historical data, the ability to goal set is gone as well. How lame. Challenges – The old app had some different challenges, and when you made them you were awarded points. For example, if you checked your usage on three different days, you’d often get a couple hundred points. If you kept your usage under a certain amount for the week, that was good for a few hundred points. The challenges changed weekly. They were cool. You didn’t really get anything for them, but it was still something to shoot for. These have all vanished. All of the above is bad, but to top it off, they’re now charging for anyone that wants an Energy Bridge device. They will start charging 99 cents per month. Now, since I was a user of the old device, I get six months for free. Which is good, because otherwise I’d be sending that thing back today. I find it really amazing to think that they would strip away so many features, and then turn around and call it an upgrade. My guess is that this is probably a brand new app, so technically they’re starting from scratch. But you know what? That’s no excuse for rolling out something so terrible. Because of the fact that I’m getting this for six months, I guess I’ll hold onto it for now. But simply put, DTE Insight v3 is awful. Hopefully by December they are on a newer version that brings back the features I found handy. If not, I have a feeling they’ll be getting a lot of these things sent back. Mine would be one of them. 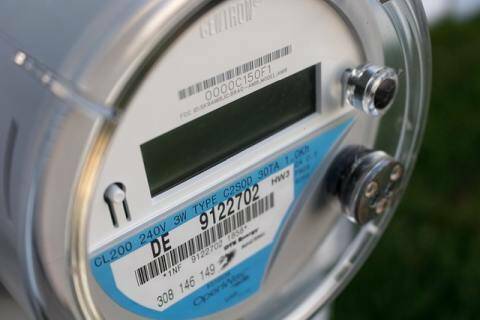 Readers, do you have any devices or systems that allow you real time monitoring of your utility usage? Would you pay for such a thing?